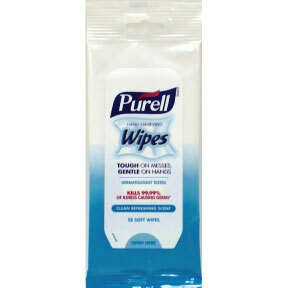 15 count pouch of wipes. Clean Refreshing Scent. For Hands on the Go. Kills 99.99% of most common germs that may cause illness. Ideal for the on-the-go cleanup of hands and faces.